Please contact us for facility fee information. The facility fee includes access to the facility for 8 hours. Events can take place between the hours of 9:00 am and 10:00 pm. Half of the Facility Fee is due with a signed contract. Limited equipment is on site and available for rental. Clients will be held liable for any physical damages, legal actions, and/or loss of reputation or business opportunities that Owner may incur as a consequence of the Client or any Client’s guest while Client is in control of the venue, and shall indemnify and hold harmless the Owner against any and all legal action which may arise from the Client’s use of the venue. Keep in mind that the venue and vendor insurance liability does not include you as an “insured party”. In order to protect yourself each client is required to carry general public liability insurance and to indemnify Good Neighbor Festivals, LLC which shall be named as an additional insurance for the duration of this contact. All clients and non exclusive vendors must provide a limited liability insurance certificate naming Good Neighbor Festivals, LLC as additionally insured for a policy of not less than 1,000,000.00. This is due 14 days prior to the event. No client or vendors will be allowed to execute their services without this certificate. Parking is located in the gravel lot located next to the Pavilion East. Some limited street parking surrounds the facility. All décor must be approved prior to your event date. 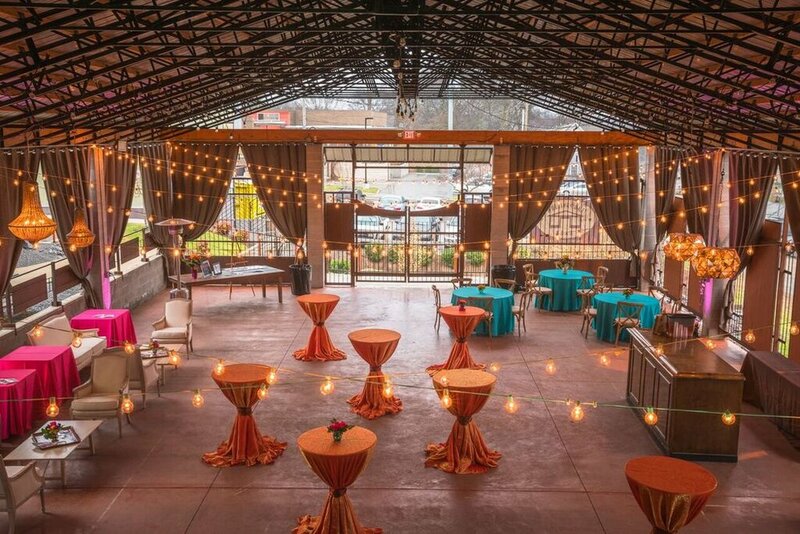 Vendor lists, event insurance, vendor insurance, and all set up information must be provided to your event manager at least 14 days in advance. We do not allow glow sticks, confetti, fireworks, glitter, open flames, rice, or birdseed. All amplified sound must be approved prior to your event. We greatly respect our neighbors and event amplification should not be disruptive to the surrounding businesses or private residents. The Pavilion does not have an onsite kitchen or a back of house. Speak directly with your event manager about catering, before booking or arranging event catering. Speak directly with your event manager if you are interested in serving alcohol at your event. The facility has the right to require professional security personnel to be on site for the event. Please make sure and check out the event calendar before requesting a date. How did you hear about the Pavilion?